1. GV-650B is currently not compatible with VIA series and ATI series chipset motherboards. 2. 8-port has the same recording rate and display rate as 16-port. 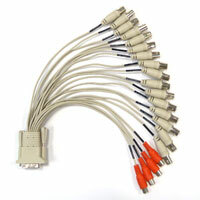 cable is supplied with GV-650B card with 4 video inputs.